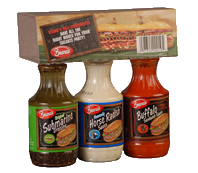 Use the dropdown boxes below to choose 3 Beano’s Deli Condiments to include in your order. You can select one flavor for all three or mix and match. Know that you love Beano’s Original Submarine Dressing? Why not try something new with your other two options!